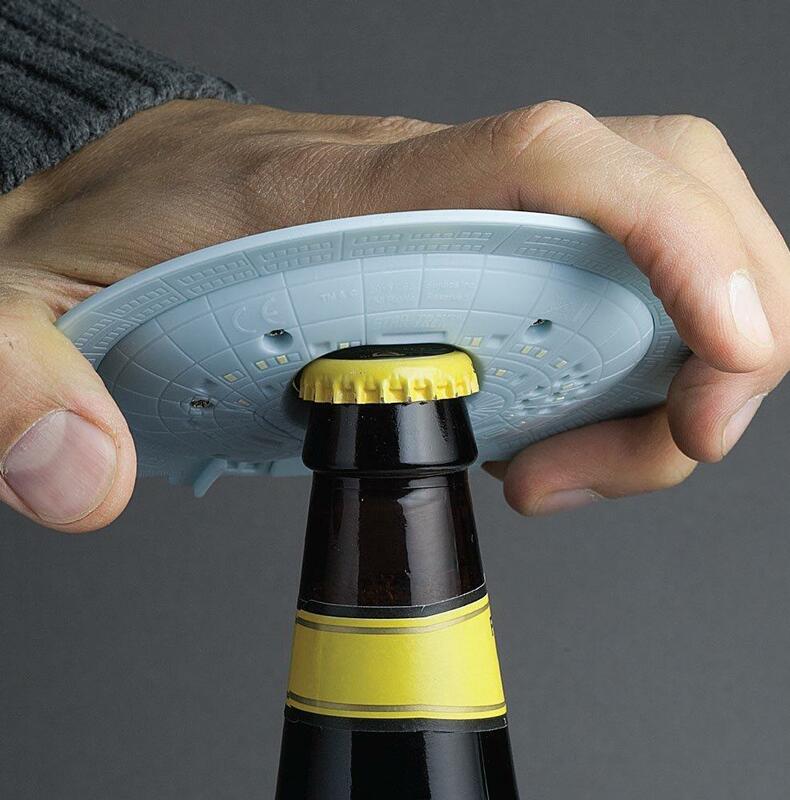 Star Trek has fascinated us over the decades, and now you can have 'USS Enterprise Themed Gadgets' for your day-to-day life. USS Enterprise Wooden Keychain: This cute USS Enterprise Wooden Keychain is handmade from walnut wood, oiled with Danish oil and is sure to look great for your house, car or any other keys. Buy Now. 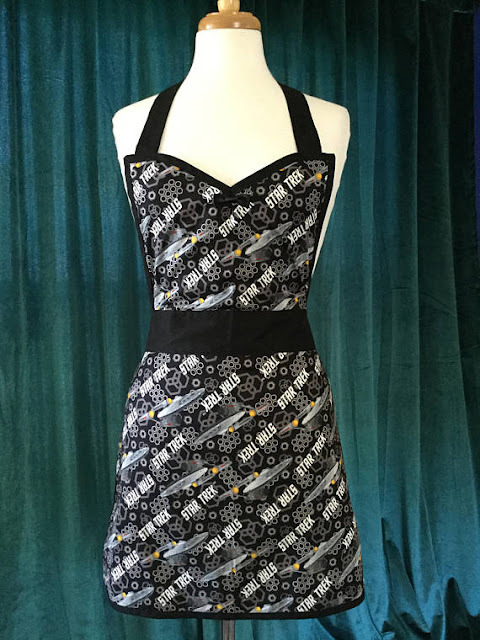 Star Trek Starship Enterprise Apron: Cooking can be tedious but it can be made fun with the right tools and the Star Trek Starship Enterprise Apron is just the thing you need. Buy Now. 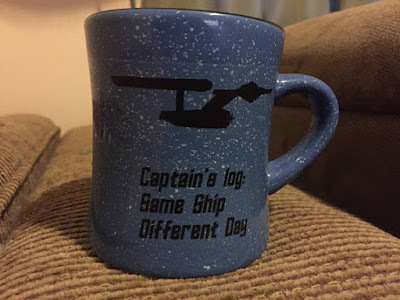 USS Enterprise Themed Cup: Nothing can be better than a cup of java in the morning and this USS Enterprise themed cup can make it more interesting. Buy Now. 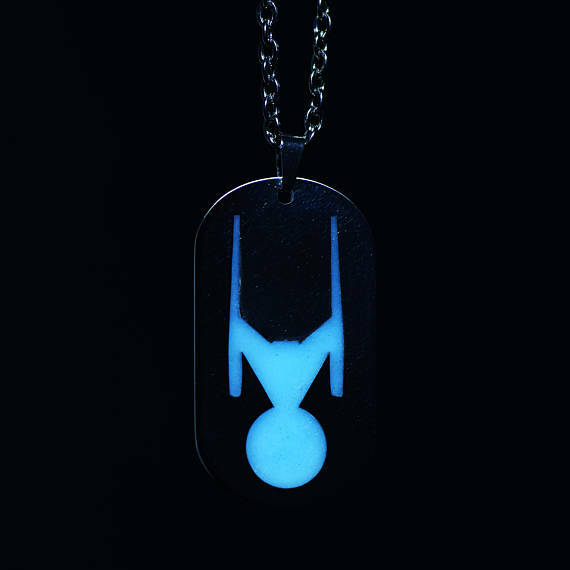 Starship Enterprise Necklace: The Starship Enterprise Necklace is handmade, glows in the dark and is available in two variants - Starship Discovery and Starship Enterprise. It recharges using natural light or light bulb and glows bright in the dark. Buy Now. U.S.S. 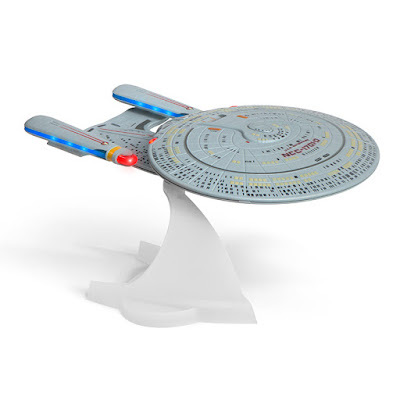 Enterprise Bluetooth Speaker: The Star Trek TNG U.S.S. Enterprise NCC-1701-D Bluetooth Speaker features light and sound effects, connects to your smartphone or any other Bluetooth-compatible device and lets you to route calls and beams your music. Buy Now. Star Trek Enterprise Sushi Set: The Star Trek Enterprise Sushi Set is a full set of sushi-ware shaped like the U.S.S. Enterprise where its warp trails are really chopsticks while the saucer is a soy sauce dish. Buy Now. 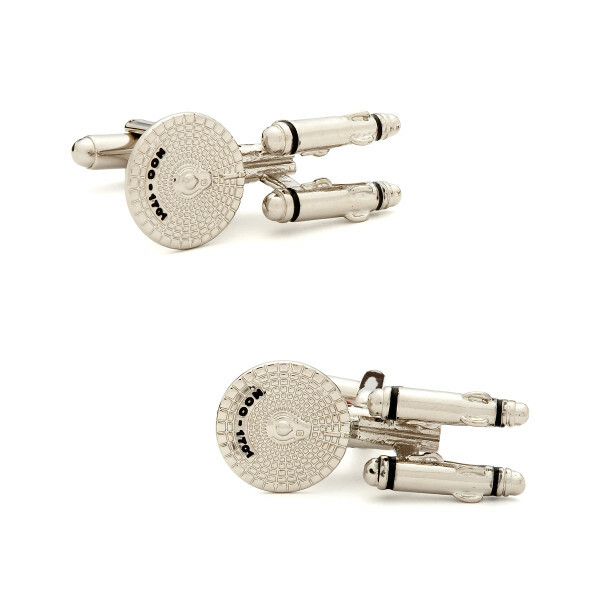 Star Trek Enterprise Ship Cufflinks: The Star Trek Enterprise Ship Cufflinks are here to give you warp speed. Buy Now. 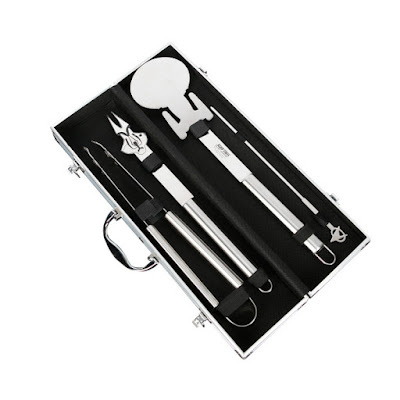 Star Trek TNG BBQ Set: The Star Trek TNG BBQ Set consist of four Delta skewers, Delta tongs, a Cardassian fork, and a USS Enterprise spatula, just the thing for grill masters. Buy Now. Star Trek Enterprise Cutting Board Set: The Star Trek Enterprise Cutting Board Set perfectly serves as a cheese plate and a sleek cutting board; a cheese knife and cheese fork in the board act as the engines while it features small magnets in the base and utensil handles to keep things in place when moving around. Buy Now. Star Trek Enterprise Pizza Cutter: The U.S.S. 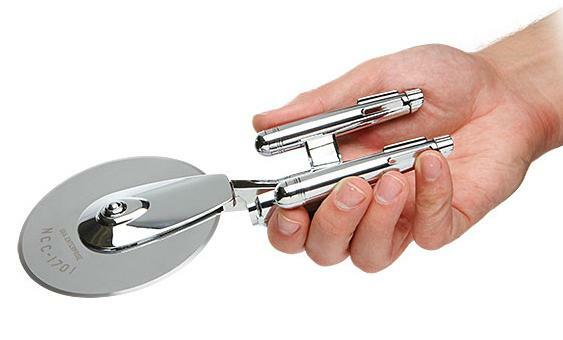 Enterprise NCC-1701 has been on numerous voyages over the years, and now it comes in the shape of a mini pizza cutter to cut your pizzas. Buy Now. 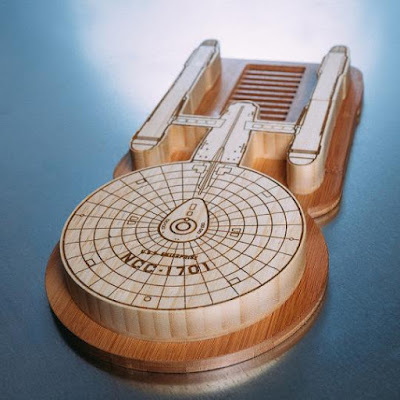 Star Trek Starship Salt and Pepper Shakers: We know that Star Trek or its starships need no intro as these have been an integral part of our lives over the years. 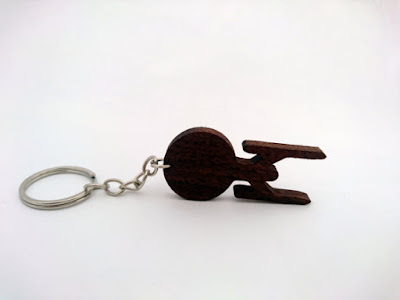 So here we have a U.S.S. Enterprise (NCC-1701) and Klingon cruiser to hold your salt and pepper, and to give your food the needed seasoning. These starships are made from stainless steel, comes with a plug in the bottom for refill, are officially-licensed, and the Enterprise measures 5" long while the Klingon starship measures 4" long, Enterprise weighs 7 oz while the other starship weighs 5 oz. 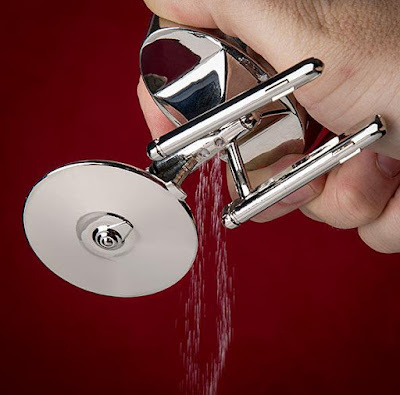 So we are going to fill the Enterprise with salt and the other starship with pepper, but what about you? Buy Now. 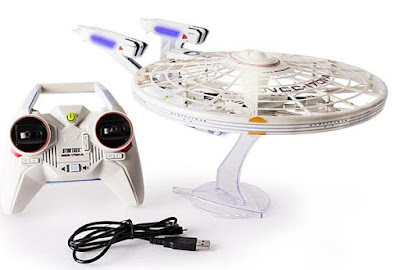 Star Trek Enterprise Quadcopter: The Star Trek Enterprise Quadcopter is modeled after Enterprise NCC-1701-A and features 10 authentic lights and sounds. Apart from these, quadcopter's warp speed capabilities makes you feel like you are piloting the real thing. Buy Now. 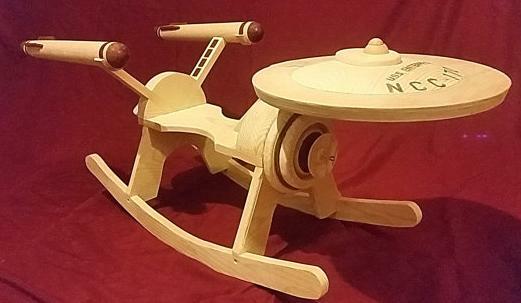 Star Trek Enterprise Rocker: The Star Trek Enterprise Rocker is solid, sturdy and built to be played with, not just admired. It's a handmade wooden chair for your kids. Buy Now. USS Enterprise Cookie Cutter: Kids enjoy eating delicious cookies and when these come in shape of USS Enterprise it makes things a lot more fun. Buy Now.